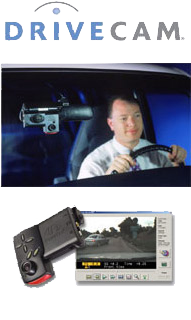 DriveCam is a Palm sized digital video recorder with 2 lenses, mounted behind the rear view mirror of your limousine. One lens sees a 180-degree view out the front of the car, while the other captures the actions of the driver should there be an event. Although DriveCam is constantly on the lookout, DriveCam is programmed to record only when an event is initiated. An event is initiated when the threshold level of G forces on the vehicle has been exceeded. Events can be caused by such actions as hard braking, rapid acceleration, harsh cornering, or by collision. The initiation of an event causes DriveCam to record everything that it sees, and everything that it hears, during a twenty second interval, commencing ten seconds before the trigger, and lasting through ten seconds after the trigger. In other words, digital technology allows the DriveCam system to reach back in its memory and record what transpired before, during, and after the event was triggered. Celebrity Worldwide closely monitors all recorded events that occur in all fleet vehicles. Driver profiles are built, and only drivers who have a history of safe driving habits remain part of the Celebrity team. This means that you can be confident that your Celebrity Worldwide Chauffeur has proven to be a safe and responsible driver. Should you have any questions about our use of Drivecam, please do not hesitate to contact Celebrity Worldwide.  At Celebrity Worldwide, the only thing we value more than your comfort, convenience and confidence is your safety. Celebrity Worldwide employs a tracking application from Vehicle Tracking Solutions utilizing high speed wireless technology and satellite based Global Positioning Systems (GPS) to obtain vehicle location and velocity information. Dispatch personnel always know where each vehicle in our fleet is located and their exact location thereby enabling the dispatch team with the ability to make up-to-the-moment vehicle management decisions that have an immediate positive impact on our customers. The VTS GPS System displays the exact locations of vehicles on multiple maps with different zoom levels. The dispatcher can easily zoom to the surrounding area to see which vehicles are in the vicinity for last minute ASAP request for a service. The System also logs all vehicle locations and events. Any log can be recalled to display the activities of any vehicle, group of vehicles, or all vehicles during a specified time interval. This GPS system provides our Dispatch Office with real time vehicle status and location. With 25-plus vehicles on the roads at any given time, the Celebrity Worldwide dispatch team can monitor the speed of traffic flow on virtually every major freeway and divert drivers away from congestion problems on a moment's notice. "This saves time, fuel and money but most importantly, we serve our customers better."